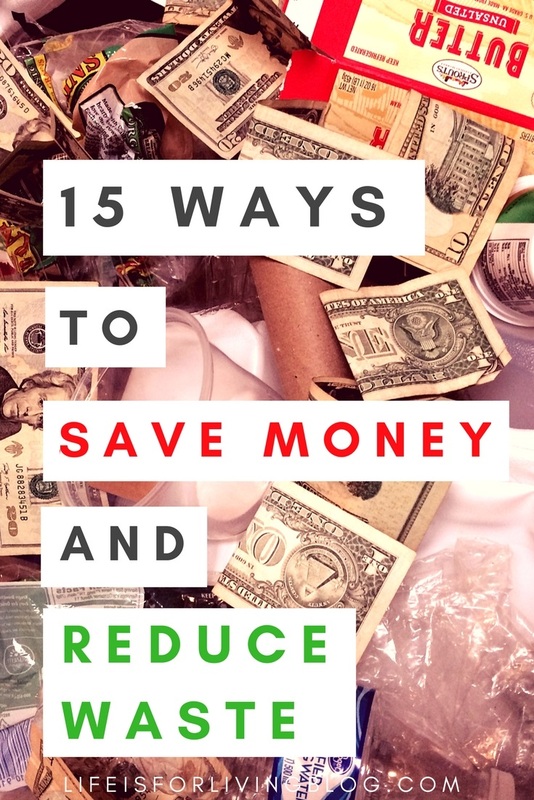 Reducing waste inherently saves money. The two go hand in hand. I'm not sure why that fact alone hasn't caused more people to become waste-conscious. If they can't get motivated by the destruction they're leaving on this planet for future generations, surely their own financial prosperity should do the trick. I've been recycling for almost a decade now, but after reading Garbology back in January, I've become so much more determined and passionate about finding new ways to reduce my own personal garbage output. Recycling is better than doing nothing, but it's a whole lot better to have nothing to recycle in the first place. In accepting Edward Humes's challenge, I've learned firsthand how much money you can save while making an effort to save the Earth. So, I decided to compile all my recent innovations into a blog post. And here it is. Disposable razors are so expensive. I've used BIC Soleil razors for years, but a pack of four at Target is around $10. That adds up quickly if you actually change out your razor as often as you're supposed to (not that anyone actually does that). In addition to the cost, I can't help but think about alllll the plastic razors I've used piling up in a gross, dangerous, permanent heap somewhere. Instead, I recommend a safety razor . The initial cost is anywhere from $10 to upwards of $50, depending on style and materials. The only thing you have to dispose of and replace is the blade , and you can get 100 replacement blades for $9.99 on Amazon . Sooo much less waste, soooooo much less money. Oh, and I must warn you: be careful. Don't let the name safety razor fool you. It's a much closer shave. 2. Use cloth napkins instead of paper. Let's think about napkins for a second. You're eating dinner. You grab your napkin and wipe your hands and mouth for maybe ten seconds total throughout your meal. Then you mindlessly toss the napkin into the garbage, and it goes off to a landfill somewhere with everyone else's dirty napkins. Consider all the meals you've consumed. All the napkins you've used for a second and thrown away. That's an awful lot of waste. And how about all the money you've spent on them over the years? Sure, 600 paper napkins from Walmart for $4 isn't taking a huge chunk out of your wallet, but still. It's a regular expense. Why not switch to cloth napkins ? You simply toss them in the laundry after use. They're much more elegant and beautiful on your table as well, and you can even jazz them up nicely with pretty napkin rings. They save you money, reduce waste, and make every meal feel like a special occasion. 3. Use washcloths for cleaning house, not paper towels. On a related note, let's discuss paper towels. You tear one off the roll and quickly wipe up a mess. Then into the trash can it goes. Over and over again. I bet most of you use paper towels or wipes for general housecleaning, too. You spray the mirror with Windex, wipe clean with a paper towel, then throw away paper towel. Just like cloth napkins, using cloth hand towels or cheap old washcloths can reduce this unnecessary waste while saving you money. I used to go through paper towels like crazy, and the good ones can be pretty pricey. But since I started using cloth towels and raggedy old washcloths for cleaning, I've found that they work just as well, if not better, and I don't waste money on disposable towels any more. 4. Replace Swiffer pads with washcloths. 5. Make your own household cleaners. I try to be very careful about what chemicals I use to clean our home. That means I used to buy more expensive natural products from places like Whole Foods. Then I read about how to make my own natural household cleaning products on the cheap. Basically, all you need are vinegar and baking soda, both of which are crazy cheap and will make enormous quantities of cleaner. 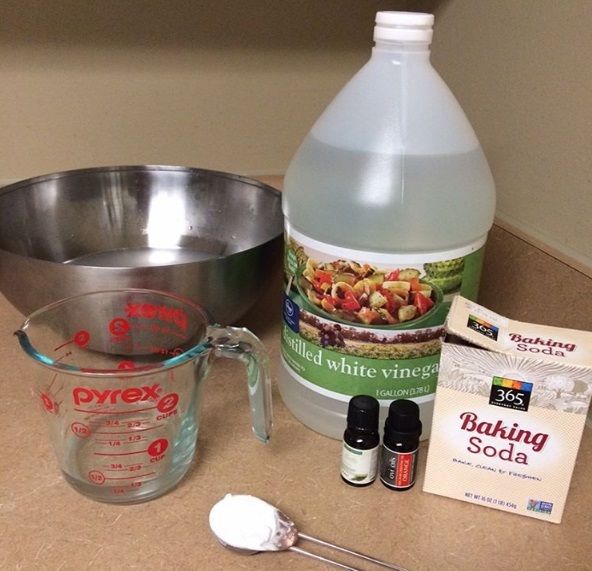 My personal favorite recipe: 1/4 cup white vinegar, 2 tbsp baking soda, 1/4 gallon hot water, a few drops of essential oils of your choice (optional). Mix all ingredients in a large bowl or bucket and let cool. Store in a reusable spray bottle (I pour mine in an old Method All-Purpose Cleaner bottle; yay for reusing and not buying new!). 6. Ditch Ziploc and go for reusable baggies. This one has been a game-changer for us, because we take lunches (and now dinners, too) to work daily to cut costs. We used to breeze through Ziploc baggies, but the plastic waste and squandered dollars really bothered us. Then we found these things at TJ Maxx for $3.99. They come in lots of cute patterns, and you simply wash and reuse. They're even dishwasher safe. I love them. 7. Consider getting a bidet and/or using homemade family cloth. Aaaand here's where I'll lose some of you. Perhaps this is TMI, but we bought a bidet from Amazon, and it changed our lives forever. No longer is toilet paper necessary, and things are, well, so much cleaner. And more hygienic. Let's get real: if you got poo on your arm, you wouldn't just wipe it off with a piece of thin paper; you'd scrub your arm with soap and water. So from a standpoint of cleanliness, why wouldn't you want a bidet? Then there's family cloth. Reusable toilet paper. Sounds terrifying at first, but don't give up on it just yet. There are fancy cloths you can buy, but really, you can take an old t-shirt and cut yourself some squares. Just get a small bathroom trash can to put your used ones in (maybe a small can for each member of the family; also, it's nice if you can have different colors of cloth for different family members or at least two different colors for #1 and #2), throw them in the washer (on a very hot setting), and you're good. They're so cheap (even free, if you make your own squares), they're far more gentle on skin than TP, they last for years, and they save trees. If this is too weird for you, at least consider this as an alternative to disposable baby wipes. 8. Use cloth pads and menstrual cups. Another genius yet often seen as icky idea is the use of non-disposable menstrual items. I remember the first time I heard of the Diva Cup . I was horrified. A little cup? That goes...in there?!? And you just wash it every month and put it back in?!?!?!? Then I tried it. And my world turned upside down. Seriously, there are loads of benefits to menstrual cups. No skin irritation (a HUGE plus for my sensitive skin; pads and tampons are the worst), there's nothing to throw away (you just empty and clean the cup), no discomfort (I actually sometimes forget I'm on my period), there is no shady, undisclosed list of mystery ingredients like popular pads/tampons, you can track the regularity of your flow using the measurement lines on the side of the cup (great for nerdy girls like me), and I honestly feel like my cramps aren't as intense or long-lasting with the cup. 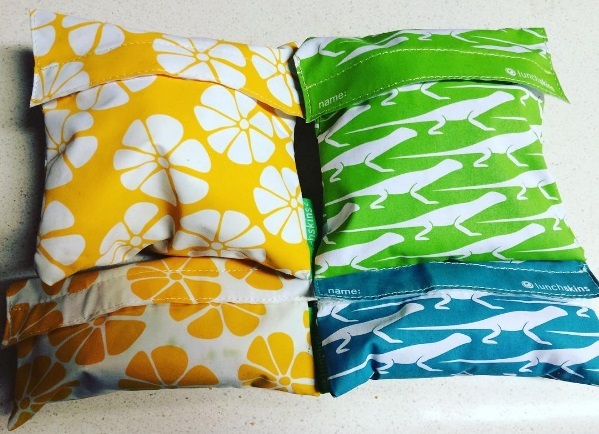 For those with extra heavy periods who fear an overflowing cup, or for the girls who are just anti-tampon/cup, you don't have to resort to expensive, chemical-filled, diaper-like maxi pads that will sit in a landfill for centuries to come. There are all kinds of wonderful cloth pads out there that snap into your undies. Again, there is no skin irritation, so that alone might be enough to convince many of you. Just wash in hot water and reuse next month. This saves so much money, it's insane. Just stop and think about how many packages of pads/tampons you've gone through so far in your lifetime and how many more you'll use. If the impact on the planet doesn't disturb you into taking action, surely the impact on your wallet will! 9. Cut up old tees into hankies. Or, bring the lacy, embroidered handkerchief back in style. Either way, stop blowing your nose into expensive Kleenex facial tissues that get immediately tossed into the garbage. Reusable cotton fabric is way more gentle on your nose than Puffs, and it costs a heck of a lot less, too. 10. Make your own toothpaste. We all use toothpaste everyday, multiple times a day, and that isn't going to change. But we can change how much money we spend on this paste and the waste it creates. Instead of shucking out a few dollars for a tube that can't be recycled when it's empty, why not take 2 minutes to make up a batch of homemade toothpaste that can be stored in a small Mason jar? To make 1/2 cup, all you need is 4 tablespoons of baking soda, 3 tablespoons of food-grade calcium carbonate powder , and 6-8 drops of food-grade peppermint essential oil . You just mix it up and store it in a tightly-sealed container. That's. It. You can also use xylitol to help improve the taste, but that seems a bit pointless to me. One cheap box of baking soda, one bottle of calcium carbonate powder, and one bottle of peppermint oil will probably make more than a yearlong supply of all-natural tooth powder. 11. Bring your own cloth bags to grocery stores. Saying no to plastic bags at the grocery store is one of the easiest and trendiest eco-friendly things you can do. But few people seem to realize that taking reusable cloth bags to the store can actually save them money. That's right. Pretty much every store that sells groceries except Walmart offers bring-your-own bag rebates. Instant rebates, that is. The cashier will count up how many bags you brought and give you a discount based on that. You typically get $0.05 or $0.10 for each bag, so if you get a lot of groceries in reusable bags, it can really add up! 7 bags at Sprouts equals $0.35 in "coupons"
Psst! Meat and produce bags count, too! I get so irritated at Sprouts and Whole Foods when I see people being all eco-conscious with their cloth grocery bags putting 2 Roma tomatoes in a plastic produce sack, or placing every single pack of chicken breasts in a separate plastic sack. This is not necessary. You can get sturdy tote bags that will hold up just fine in the washing machine. Use something like that for putting packs of meat in at the store. The same goes for produce. I recently purchased these amazing reusable produce bags , and I am in love! 12. Never buy bottled water again. Likewise, I get annoyed when people routinely spend money on bottled water. The silliest waste of money and plastic ever. Please just buy a refillable glass bottle and a filter. 13. Save veggie scraps for broth. I've shared this one on the blog before, but it's still a goodie. Instead of throwing away the ends of carrots and onions and the like that don't go into your recipes, toss them in a bag in your freezer. When the bag is full, empty it into a large pot with several cups of water and a bay leaf. Let is simmer for a couple of hours, and guess what? You just made vegetable broth. For free. Out of your trash. 14. Mend your holey clothes instead of buying new ones. I'm ashamed to admit how many times I've thrown out clothing simply because "it had a hole in it." Socks especially. I used to just throw them in the trash can without a second thought. But you know, it doesn't take that long to grab a needle and thread and make the hole disappear. It really doesn't. Just the other day, a strap came loose on a basic spaghetti strap tank top of mine. My instinct was to toss it out and run to the store for a new one, but I thought about it this time. I pulled out a small sewing kit, sewed the strap back on, and it took about five minutes. My tank top is once again wearable, I didn't create waste by throwing it away, and I didn't have to spend money on a new one. 15. When possible, buy used, salvaged, and thrifted; not new. This final one kind of sums up the entire list. 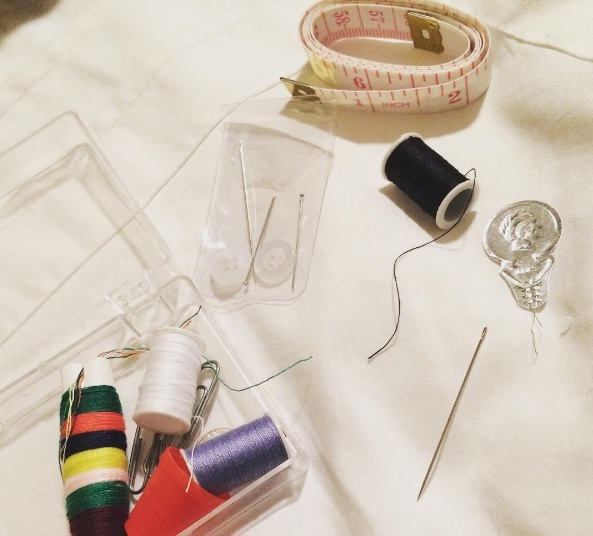 Are your holey clothes beyond your sewing skill set and in need of replacing? Go to Plato's Closet or Style Encore. Need some cloth napkins for your table or some old rags to clean your bathroom with your homemade household cleaner? Hit up the thrift store. Do you need some cloth tote bags to take to the grocery store? Visit a yard sale. The price tags at these places are going to be less than a new item anywhere else, you're reusing items someone else didn't want, you're not supporting fast fashion and unfair trade practices by shopping at big box retailers, and often, the money you spend is even going to charity. It's a win for everyone. Do you have anything to add to this list? I'd love to hear some of your thrifty, eco-conscious ideas! I am loving all of these! (Although I admit, I am a bit skeptical of the bidet/family cloth idea... but I can appreciate the logic behind it, lol). I am so curious about the Diva Cup - I HATE the commercial pads I use, I always feel certain I'm poisoning myself and the world when I use them, ughhh. I think I'll give one of these a try, though. I'm also really interested in trying homemade cleaners. My mom does this and has several recipes for different cleaners, I plan to pick her brain for some of them. I started using reusable grocery bags a year or so ago and loved getting $0.06 rebate for each one I used... until last November when CA voted to penalize any grocery store for using plastic bags. Now I don't get that sweet rebate, lol, but I still use my reusable bags! Hi Jennifer, I found your blog today and love it. This is really great list, I've been working towards minimalism after watching The Minimalists a few months ago, and inspired by that and documentaries like A Plastic Ocean, I've been trying to reduce the amount of waste in my household. I do a quite a lot of these points already, though I'm finding a menstrual cup quite difficult to use. I'm midway through renovating my house and we are putting a douche (a water spray attached to your toilet) in our master bathroom after using one on holiday in Indonesia - it is just so much cleaner and more environmentally friendly! Another way I've recently tried to reduce is by buying second-hand books from used bookstores or Amazon rather than brand-new. Also, you can now buy reusable cotton facial pads which are a great alternative to throwing away so many when cleansing twice a day. I also really love using apps like Depop for selling clothes I no longer wear, and the occasional purchase. I recently bought the perfect pair of boots to replace an old pair that I had worn out, and the pair I bought hadn't even been worn yet I got them for half the retail price!